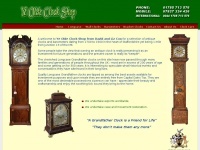 Antique clocks for sale and restoration - Grandfather Clocks, Longcase Clocks, Wall Clocks and Barometers. 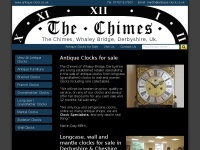 Based in Acton Trussell, Stafford , UK. 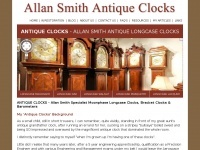 allansmithantiqueclocks.co.uk - Antique Clocks UK - Allan Smith Antique Longcase Moonphase Clocks For Sale. 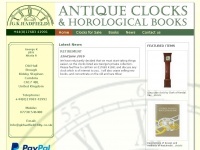 Allan Smith Antique Clocks - Moonphase Antique Clocks Specialist and Antique Longcase Clocks, Antique Bracket & Dial Clocks For Sale & Restoration. 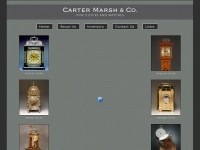 Carter Marsh & Co. is a dealer in English and European antique clocks, watches & barometers, including longcase, bracket, carriage, wall, lantern and precision clocks. 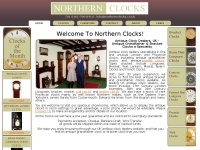 Northern Clocks are a UK based antique clock dealer specialising in antique grandfather clocks, bracket clocks, longcase clocks and more. 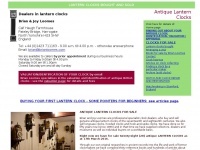 Call now 0161 790 8414.
brianloomes.co.uk - Lantern Clocks - Brian & Joy Loomes have dealt in, researched, and written about lantern clocks for over fifty ..
Brian and Joy Loomes undertake professional identification, appraisal, authentication and valuation of lantern clocks and other antique British clocks, in addition to buying and selling these on commission. 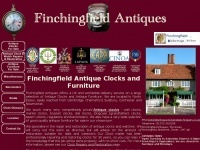 Family run firm of specialist antique clock and watch dealers (longcase/grandfather/tallcase clocks, bracket clocks, pocket watches). 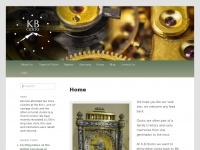 Based in Axminster on the Devon/Dorset/Somerset border. 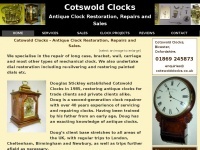 Cotswold Clocks was first established in 1985, predominantly restoring antique clocks for many trade contacts and private clients alike. 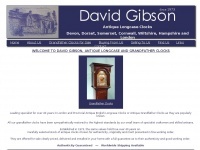 antiqueclock.co.uk - It’s About Time - an established antique clock shop In Essex selling and repairing clocks, barometers & antiqu .. 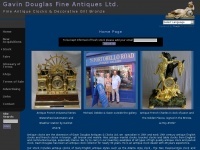 Antique clock specialists offering a wide range of clocks, fully restored and fully guaranteed. 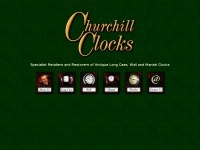 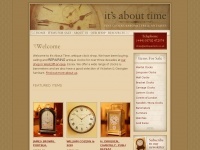 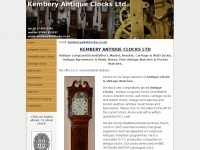 kdclocks.co.uk - Kembery Antique Clocks UK - Specialists in Antique Clocks, Barometers, Watches & Music Boxes. 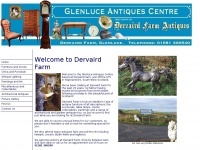 The Glenluce Antiques Centre is one of the largest antique businesses in south-west Scotland, supplying a range of antique furniture, art, clocks, lighting and architectural salvage items. 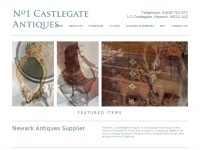 Castlegate Antiques in Newark is home to 8 antiques dealers sourcing antique furniture, antique clocks, antique works of art, and antique mirrors & lighting. 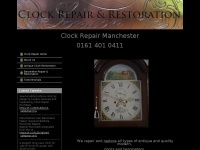 We are experts in the repair, conservation and restoration of antique clocks, watches, barometers and furniture. 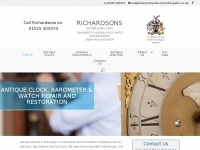 We have three specialist workshops, one for watches and small clocks, one for long case and larger clocks and a third dedicated to antique ..